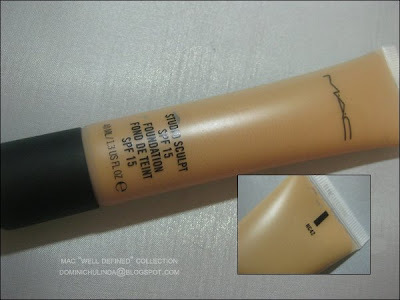 A lot of the girlies on the forum is mentioning that there MA's was telling them to get their foundation shade (example mines is NC 42 now) for their concealers. 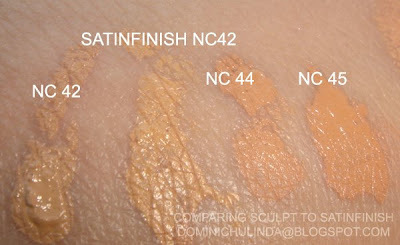 As you can see here I’d swatch the one they suggested w/ the NW 35 (which I normally use). 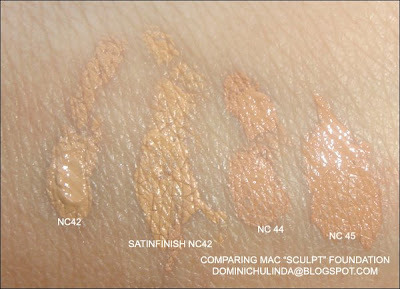 So, I'm going back for the NC 42(I firgure since this product is so thick and it has "Titanium Dioxide" maybe they have a point). 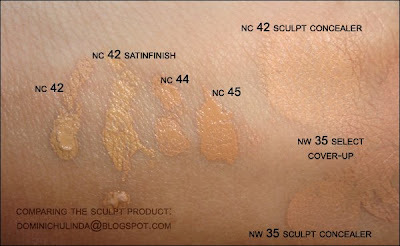 I compared the sculpt concealer to the select cover-up. 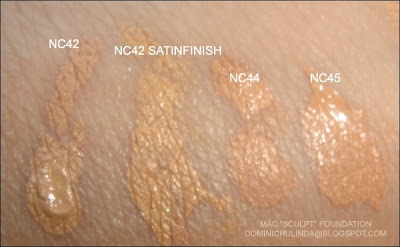 In color they match hand in hand. 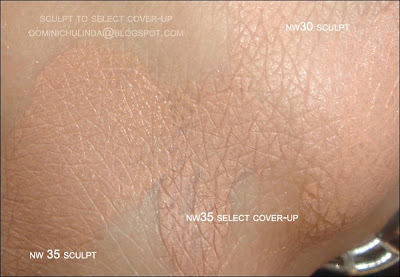 The sculpt concealer applies smooth as liquid, but gives you great cover as studio tech would. 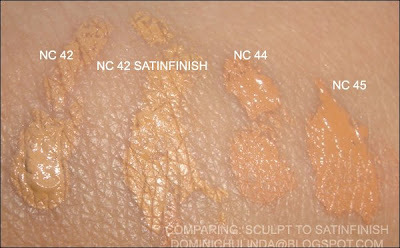 I compared NC 42 Sculpt Foundation to the Satinfinish Foundation and notice that the Satinfinish Foundation has a tiny bit more yellow to it then the Sculpt Foundation.